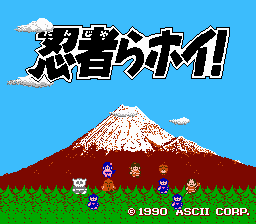 Romhacking.net - Translations - Ninja Rahoi! Well at first glance this here looks like one of them “funny” games. 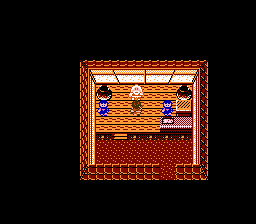 You know, like Earthbound or Hanjuku Hero or Goemon or something. You know, crazy wacky. 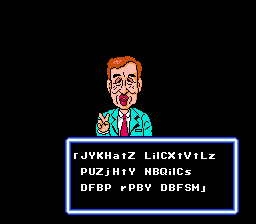 It’s hard to tell with it all being in Japanese though. 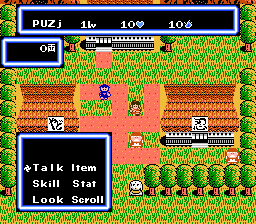 Other than that, this seems like a basic Dragon Warrior clone, and not at all worth a look unless you’re fluent in Japanese. Shrug. Musashi’s translated all the menus but that’s about it.